Mervyn LeRoy was an American film director and producer who began his career as an actor in silent films, and went on to create many classic movies of the Golden Age, in a variety of genres, including gangster movies such as 'Little Caesar' and 'I Am a Fugitive From a Chain Gang' as well as romances such as 'Waterloo Bridge' and 'Random Harvest'. In all he directed over 70 movies in his distinguished 40 year career. He was also producer and co-director of 'The Wizard of Oz' in 1939 and it was Mervyn LeRoy who introduced Ronald Reagan to Nancy Davis in 1949. Surprisingly, he received only one Oscar nomination for Best Director (for 'Random Harvest' in 1942) and he directed or co-directed eight movies which received Best Picture Academy Award nominations, one of the highest numbers amongst all directors. In 1945, LeRoy received a special Oscar for a short documentary decrying intolerance titled 'The House I Live In,' which he directed and co-produced and in 1975, he won the Irving G. Thalberg Memorial Academy Award for career achievements. 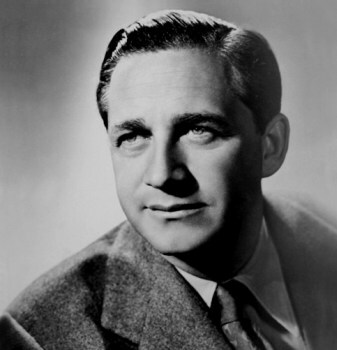 Mervyn LeRoy was born on October 15, 1900, into a Jewish family in San Francearlyisco. His childhood was troubled as his mother deserted the family when Mervyn was five, and a year later the large department store in the city which his father owned was destroyed in the 1906 San Francisco earthquake. The family suffered poverty and had to live on charity virtually as refugees. To make money, from the age of twelve Mervyn began to sell newspapers on the street. His father died a broken man in 1916, leaving Mervyn to fend for himself. He discovered an aptitude and liking for musical theater and in his early teens, he began to enter, and win, talent shows as a singer and Charlie Chaplin impersonator. This led to an early career in vaudeville and he toured for nine years around the national circuit first as a solo entertainer called ''The Singing Newsboy,'' and then for three years with a pianist, Clyde Cooper, as ''LeRoy and Cooper. When the act broke up in 1923, he drifted East and got a walk-on role in a movie in Fort Lee, New Jersey, and became intrigued by movies and movie making. After co-writing the script for the successful movie 'Ella Cinders' in 1926, LeRoy made his directorial debut the following year with 'No Place to Go' starring Mary Astor. He made a good impression which he added to over the next few years as he directed three more silent movies and six talkies all under budget, such as 'Harold Teen' in 1928 and 'Little Johnny Jones' in 1929. In 1931 he confirmed his rising star status with two important films, the Oscar-nominated 'Five Star Final' and the influential gangster classic 'Little Caesar', starring Edward G Robinson, which marked the start of a succession of gangster films made by the Warner Bros studio. His new fame was secured by 'I Am a Fugitive From a Chain Gang,' in 1932, a compelling movie based on a true story, starring Paul Muni, and which created a political storm when it came out, leading to major legal and penal reforms. For the next five years LeRoy continued to direct high quality movies for Warner Bros, such as 'Heat Lightning' and 'Sweet Adeline' in 1934, 'Oil for the Lamps of China' in 1935, 'Anthony Adverse' in 1936 and 'They Won't Forget' in 1937. He also began to produce movies for the studio, including 'Romance is Sacred' and 'The Great Garrick' in 1937.
. In 1938 LeRoy's successful record was recognised when he was offered and accepted the title of Production Executive at MGM, the most successful studio in Hollywood. His first production for his new employer was 'Dramatic School' in 1938 and he swiftly followed this up the following year by producing and co-directing a movie which has since become an evergreen classic, 'The Wizard of Oz', starring Judy Garland. Also in 1939, LeRoy produced the Marx Brothers hit movie 'At the Circus'. LeRoy's time at MGM was noteworthy for the change in the emphasis and genres of his movies. After the hard hitting social commentaries of his Warners career he began creating classic romantic dramas such as 'Waterloo Bridge' and 'Blossoms in the Dust' in 1941, and 'Random Harvest' in 1942 for which he received his only Oscar nomination for Best Director. During World War II, he worked for the Government, making short public information films on such subjects as contending with bombs and putting out fires, to help prepare the country for a possible attack. During the.rest of the 1940's LeRoy continued to direct well thought-out, and well organised movies for MGM, such as 'Thirty Seconds Over Tokyo' in 1944, 'Homecoming' in 1948, and 'Little Women' and 'East Side, West Side' in 1949. By the start of the 1950's he was one of the top directors in Hollywood. In 1951 LeRoy took over 'Quo Vadis' from John Houston. The resulting film was a huge commercial success, and received eight Oscar nominations although no wins. LeRoy remained active during the remainder of the decade. After three rather average musicals, he returned in 1955, to Warners to replace the ailing John Ford on 'Mister Roberts', a comedy which was a huge hit at the time and which continues to entertain audiences to this day. In 1956 LeRoy directed 'The Bad Seed' a sophisticated horror and suspense movie based on a stage play by Maxwell Anderson and successfully retaining most of the Broadway cast. He continued directing movies for the next decade, including ' No Time for Sergeants in 1958 and 'The FBI Story' in 1959. 'Gypsy' in 1962 was his last important movie and its success caused LeRoy to be tempted away from Warners to Universal where he made what proved to be his final work, 'Moment to Moment' in 1966. After this, disillusioned by the increasingly youth-related movie industry, he retired from film making, apart from a brief, uncredited advisory role, helping his friend, John Wayne with his movie 'The Green Berets' in 1968.
. LeRoy was married three times, firstly to film actress, Elizabeth Edna Murphy in 1927, ending in divorce in 1933. In 1934, he married Doris Warner, the daughter of the founder of Warner Brothers, Harry Warner. The couple had two children and the marriage ended in divorce in 1942. In 1946, he married Katherine Spiegel, the marriage ending with his death. In between marriages he had relationships with many actresses including Glenda Farrell, Ginger Rogers, Lana Turner and Ava Gardner. In 1974, LeRoy published a very readable autobiography entitled "Mervyn LeRoy: Take One" in which he completely omits to mention his first wife Edna Murphy, to whom he was married for six years. The following year LeRoy received the Irving Thalberg Life Achievement Award from the Academy of Motion Picture Arts and Sciences in recognition of his lifetime achievements. LeRoy was an enthusiastic follower of horse racing and owned several thoroughbred racehorses. until 1985 he served as president of the Hollywood Park racetrack and since 1980, the Mervyn LeRoy Handicap has been run there. After suffering from Alzheimers Disease for several years, Mervyn LeRoy died, aged 86, on September 13, 1987, in Beverly Hills, Los Angeles. He was buried at Forest Lawn Memorial Park, Glendale, Los Angeles.